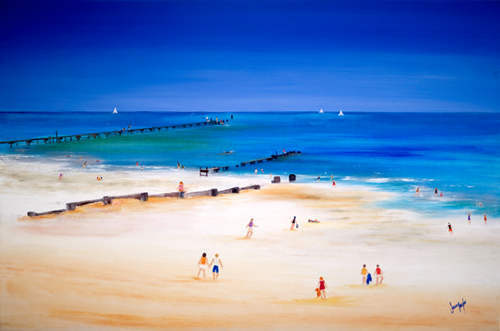 One of Jenny's vibrant beach scenes, depicting the old parts of the Busselton Jetty, which have since been removed by the Shire Council. Painted with oils on canvas and unframed. Can hang on the wall as is. Has recently been reduced to $1500.